The Terrier Experience is a one-day event hosted by Boston University at historic Nickerson Stadium or New Balance Field. The day is designed to provide high school aged student-athletes a glimpse into what being a Boston University Lacrosse player entails. 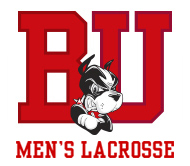 Players gain constructive insight into high-level lacrosse as they are personally instructed by the Boston University Men’s Coaching Staff in group skill sessions and competitive games. Additionally, each participant receives valuable exposure while scrimmaging against some of the most elite players in the country.